Redmi S2 is said to be on the next big Xiaomi launch, now that the Mi 6X has been officially released and Mi 7 unveiling is expected to be in Q3. The Redmi S2 has been leaked heavily recently, and the latest comes in the form of a teaser that pretty much cements the arrival of the smartphone. 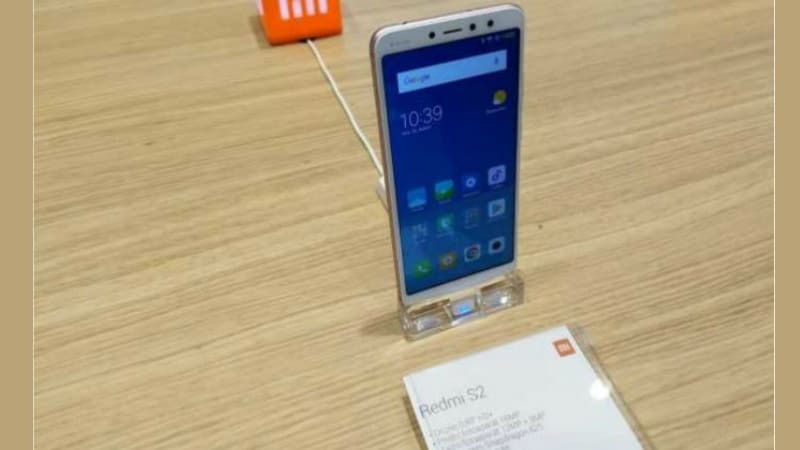 Furthermore, a new photo of the Xiaomi Redmi S2's Mi Store listing has emerged from Czech Republic shedding light on specifications as well. It was previously rumoured that the Redmi S2 will be launched in India and China as a budget smartphone. The Redmi S2 teaser image has been spotted on Weibo, and it consists of a large 'S' drawn with red and blue paint. This could indicate that the smartphone will arrive in Red and Blue colour variants. The 'S' could also mean the arrival of a new model in the company's own SoC lineup - the Surge S2. The launch of a new smartphone appears to be more probable, given the number of recent leaks. Furthermore, the smartphone has again been spotted in Czech Republic, and this time a photo was shared by one of GSMArena's readers. The photo consists of a rather blurry Redmi S2 along with the specifications mentioned below it. In the photo, only the front of the Redmi S2 can be seen, and it seems like the bezels are kept at a minimum. The 3.5mm audio jack is seen sitting on the top edge of the smartphone. The specifications mentioned in the photo state that the Redmi S2 will run on MIUI 9 based on Android Oreo, and sport a 5.99-inch HD+ (720x1440 pixel) display with an 18:9 aspect ratio. It will be powered by a Snapdragon 625 SoC and sport dual cameras at the back - one sensor at 12-megapixel and the other at 5-megapixel. The front camera is going to be at 16-megapixel resolution, and the battery power is at 3080mAh. From previous rumours we know that the Redmi S2 has a vertical dual rear camera setup, an 18:9 display, and a rear-mounted fingerprint sensor. It will include 3GB of RAM and 32GB inbuilt storage. Storage will be expandable via microSD cards and the phone will reportedly sport a Micro-USB port.